The insurance guidance you need, every step of the way. Licensed since 1996 in both North and South Carolina, Pasko Insurance provides affordable automobile, home, life and recreation insurance with the honesty and trust that puts your mind at ease. This comprehensive approach offers one source for all your insurance needs so you can gain greater discounts, as well as the convenience of having all of your polices with one source. Because we work with many excellent carriers, we give you more options for your specific insurance needs. And unlike typical insurance providers, we give you more than a fair price. 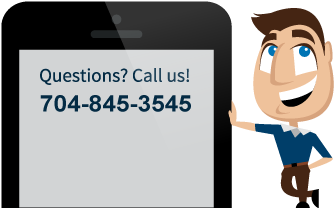 We offer a level of customer service that you can’t get through a call center or a website. Making the right insurance decision is important for your family, your assets and your budget. So we spend the time needed to explain the advantages of different plans, answer all of your questions, and find the best products and pricing for each client. This personal approach has earned us high customer satisfaction, consistent referrals, and even friends along the way.